In 1977, Rita Coolidge released her version of Jackie Wilson’s “(Your Love Has Lifted Me) Higher and Higher” on her album Anytime…Anywhere. Coolidge’s sweet mid-tempo version rings as a testimony to the power of a love that transcends the disappointments of the world. There’s an ecstatic shudder in embracing this lover who’s the “one in a million,” who can “help me stand up and face the world again.” It was a hit single — rising to number 2 on the Billboard charts — and became one of Coolidge’s most popular songs. It was also, perhaps, one of the most performed songs at karaoke bars. Gordon had hit Coolidge in the eye, briefly knocking her unconscious. When she came to, in the rawness of the moment, she realized what had happened. “Besides the pain, the true shock was that he had hit me,” she writes. “Nobody had ever hit me before, ever.” Although she had to go on the next night and sing “Superstar” in a solo spot, she took out a restraining order against Gordon, and it was the end of their relationship. In her memoir, she reveals — though she does not excuse his behavior with this revelation — that he was at the time an undiagnosed paranoid schizophrenic and was hearing voices. Those same voices that likely told him to hit her so hard also told him to violently murder his mother five years later. Coolidge weaves a litany of physical and emotional violence through her beautifully sung memoir. Delaney Bramlett beats Coolidge’s friend Bonnie Bramlett so badly that his mother calls the police because she’s afraid Delaney will kill Bonnie. Some say that Delaney refused to allow Bonnie to record the refrain, “It’s just a shot away,” on the Stones’ “Gimme Shelter.” Coolidge reveals the night in Memphis when Tina Turner took off her wig and showed Coolidge the scar Ike has given her. One night when he was drunk, Kris Kristofferson hit Coolidge. As she was trying to help him make it down the hall, he reached out and struck her. Though he didn’t strike out in malice — he was devastated by what he’d done, and apologetic — Coolidge admits that by the time that happened, it was a “really, really hard time” for her. The most revealing act of violence, though, is not physical. In 1970, she and Gordon sat down and write a little song they called “Time (Don’t Let the World Get in Our Way).” Jim, she writes, had written a “stunning riff,” and as they toyed with it, a “second progression suddenly came to me, a countermelody that answered and resolved the tension of Jim’s chords and built to a dramatic crescendo that bridged the song’s beginning and ending. I wrote lyrics that reflected the melody’s sense of fatalism and hope (‘my darling believe me, don’t ever leave me, we’ve got a million years to show them that our love is real’).” She and Gordon played their creation for Eric Clapton and left a demo tape with him in hopes that he might record it. Then, one day at a photo shoot, Coolidge heard the piano coda to “Layla,” and she yelled out “that’s my song.” When she got her hand on the album, Layla and Other Assorted Love Songs, she discovered the song was credited to “E. Clapton and J. Gordon,” no mention of “R.Coolidge.” She was infuriated, and she “can’t let go that Eric Clapton hasn’t acknowledged that I co-wrote the second half of his greatest song. And I try not to hold on to it, because it’s not going to hurt anybody but me, right?” Until now, Coolidge has never told this story, and, rightly, she thinks it’s time that all of us know that the song also has a mother. Because Coolidge is so refreshingly honest and because she chooses to wear the layers of her life so boldly and beautifully, Delta Lady is by far the best music memoir this year. I recently had the chance to chat by phone with Rita Coolidge about her memoir, her music, and her life. 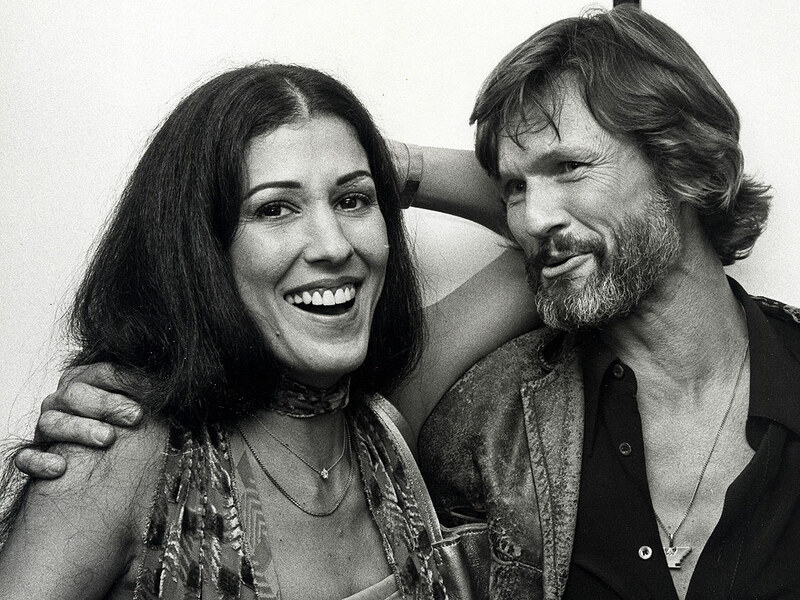 Rita Coolidge: Well, I’ve always been a storyteller. Whenever I’m on stage, I often think of a story a song reminds me of, and I tell that story before I sing the song. My drummer, who’s been with me for almost 20 years, was always saying, “Rita, you’ve gotta write a book.” My manager had also been after me to write a book, and when I wasn’t paying attention [laughs] went ahead and found a literary agent for me. It was simply a matter then of setting aside time to work on it. This whole process was something completely new to me. Just finding the pictures and choosing the pictures I wanted to use took time, even though that was so much fun to go through all of them and relive some of those moments. I always dreamed of writing a book when I first learned to read, when I was four. This past January was three years since I started working on it; in October almost two years ago, [my sister] Priscilla was killed, and that was devastating. I took six months off to grieve. How did Michael Walker get involved? With so many books like mine, publishers use ghost writers who never get credit for helping write the book. I wanted Michael’s name on the cover to acknowledge all the work he did to help me shape this book. I wanted Cameron Crowe, since we’re old friends, and I love his writing. I called him up and he said he’d love to do it but he was working on a film. He told me if I could wait for about a year, he could do it. I really couldn’t wait, so he introduced me to Michael. I already knew Michael had written that great book on Laurel Canyon [Laurel Canyon: The Inside Story of Rock-and-Roll’s Legendary Neighborhood], and he’s also written for The New York Times and Hollywood Reporter. So, I knew he was a great writer, but I knew he was the right person when we met the first time and talked for two hours, before we even started talking about the book. We hit it off right away. What are your father’s most memorable traits? He was a renaissance man. He did so many things so well. He realized the importance of art in the lives of children. One day when I was young, we were sitting outside, and he said, “Rita, let’s draw a tree.” So, I drew a little stick figure tree; he looked at it and then pointed to a tree near us. “Does that tree over there look like your drawing?” When I said, “no'” he said, “let’s try to draw one that looks like that one over there.” He was always taking time with others. He was deeply spiritual — he was a Baptist minister — and he always saw life in all things, and taught us children to see life in everything around us. He always gave of himself; he couldn’t sit down to eat until he knew everybody around him in the neighborhood was taken care of. I remember a few Thanksgiving dinners where we’d all be sitting around the table waiting for Daddy to join us because he was out making sure our neighbors had food. Nobody ever met him and walked away without their lives being changed. What are your mother’s most memorable traits? I’m more like Mother than anyone else. She gave so much of herself to her children and to others. She was a music teacher, [and] she worked very hard to be sure that her students could have the opportunity to get to state competitions. And she would very often drive them herself. Mother had such a generous heart. Mother and Daddy were absolutely passionate about each other their entire lives. They were truly one body, one mind, and one spirit. She was my best friend and someone I really looked up to. I was constantly amazed at the way she could put words together, the way she could write letters and songs. She was gorgeous; she was a real room-rocker. She was always dressed to the nines, and she would never go out — even to the corner store — without bring fully made up. When the police and coroner talked to me after she was killed, I asked them how they had found her, did she have on full makeup? When they told me that she had on just night cream, I knew it couldn’t have been a murder-suicide but that it had to have been a madman, someone from the outside, who killed her since she never would have been sitting around without full makeup. What will readers be most surprised to learn about you from this book? Gosh, I’m not sure. What were you most surprised to learn? Yes, the incidents were very different. Kris was drunk and whirled around and struck me when I was trying to help him walk down the hall. He didn’t know until the next day, when he saw my black eye, that he had hit me, and he was very apologetic. Even so, no woman should be hit. When I shared with Bonnie [Bramlett], who’s been my best friend all of our lives, the part of my book about Delaney’s violence toward her, she said, “Thank you so much for telling the truth in this book. People need to know the way we were treated.” She told me it gave her the freedom to talk about it in her own memoir she’s working on. I think readers will also be surprised to learn that I and Jim Gordon wrote a song called “Time (Don’t Let the World Get in the Way”) that we played for Eric Clapton, who then appropriated it as that now-famous piano coda, without lyrics, to “Layla.” I’ve had many questions about that, but that story is in the book. What’s your vision of music? Music is a universal language. We all have music in us; it’s the voice of the soul. That voice is always related to love and storytelling. I like what Booker says: “Music never stops in my head.” I never thought I was a great singer, but I always thought there was something in my voice that touched people’s hearts. Some of the songs I’ve been singing for years take on new meanings to me when I sing them in different places and see audiences engage in them. You know, when I first started recording, I thought it was absolutely fabulous that a record label wanted me to make an album. Over the years, I’ve realized the depth of music and the way that it flies into people’s hearts. I take none of it for granted. Choosing songs is still sometimes a challenge. A lot of up-tempo songs are written around a groove, and people remember the groove but not the words or the story. I always struggle with the up-tempo songs. I’ve been more drawn to ballads because of their depth. They’re meant to touch the heart. The book is about the love of family. I also hope they’ll recognize the respect we all need to have for each other, men and women. I hope it will encourage people not to be taken down by their struggles and tragedies.